Somebody Cares New England - Prayer-Care-Share - Where is God on Tuesday? 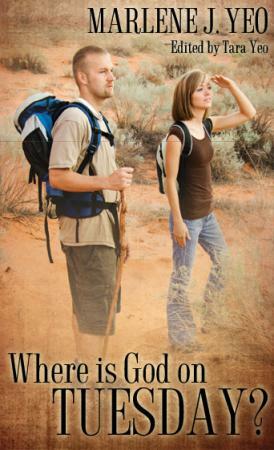 For a $12.00 donation, we will mail you a copy of Marlene Yeo's book "Where is God on Tuesday". "For those who have asked , "How do I walk through the challenges of life and enter into the promises of God, while living in the reality of where I am today? "- I pray this book provides you with some answers to that profound question. This book is for those of you who want to make a difference in this crazy world, but find yourselves limited in resources, time and the skills necessary to accomplish what the Lord has called you to do. This book is about my journey as an ordinary person fulfilling the extraordinary purposes of God in my generation. I have learned to press through the Tuesdays when it feels like God is a galaxy away by trusting that He will do what He has promised and finish what He has started in my life. My hope for you, as you read this book, is that you will be encouraged to press into His destiny for you, regardless of the obstacles, the trials and the pain." Online Giving Amount (choose one) Where is God on Tuesday?